So, you’ve selected your dream deck, cleansed it (a full moon is always a great time to cleanse cards, btw!) and made it feel like yours. Now it’s time to dive into the exciting world of learning to read your cards! This might seem intimidating at first. There are a lot of cards to memorize, after all. But you don’t have to commit them all to memory at once, and there are so many tools on the market to help you. For example, you might like to try Theresa Reed’s Tarot Coloring Book, which will give you wonderful insights as well as a fun project for the cooler coming months. Or pick up a recent favourite of mine, Michelle Tea’s Modern Tarot book, which has great, contemporary interpretations of the cards. Although, I have to be honest: When I was first starting out, I had biddytarot.com on speed-dial! I was constantly looking up cards in Biddy’s database. Her site is an amazing resource, especially when you’re on the go. You should know that there is no shame in not being a card genius straight off the bat. (Why is it that we expect ourselves to be instantly wonderful at any given skill? Enjoying the journey of learning can be so much fun in and of itself!) It’s totally cool for you to look up the cards as you go. And even once you’re adept with a deck, it’s still a joy to research alternate meanings to the cards and deepen your knowledge! To read cards, first, shuffle them. You don’t have to be David Blaine (or Criss Angel)—even a messy shuffle will do. This helps to put your energetic signature on the cards. Then, if you want to separate them into three stacks and then put them back together, you can… but it’s totally up to you. As in most forms of magic, what is most important is that you do what feels best. The second—and perhaps most popular—pull is a past, present, and future spread. 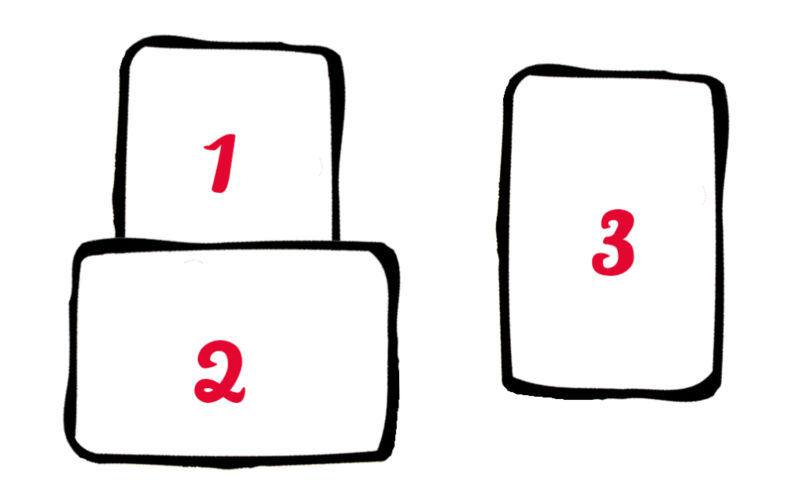 Pull three cards, the first signifying the past, the second the present, and the third the future. This is a fantastic spread for zooming out and getting a bird’s eye view on what’s really going on for you—and what you can expect in the future. 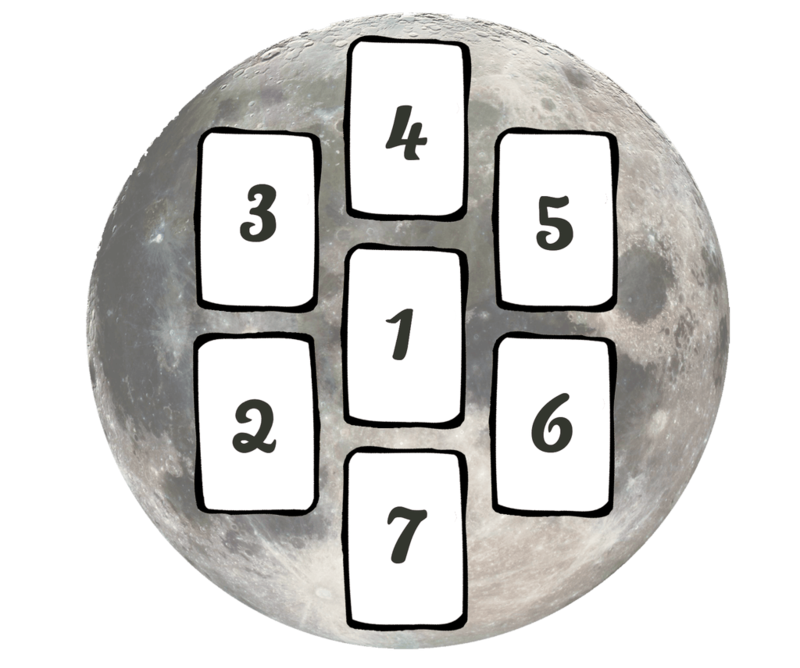 Below, I’ve borrowed a new moon spread from the wonderful site Little Red Tarot: Pull seven cards. The first card is about where you stand: you and the energy around you. The second card is something to leave behind. The third card is something to receive. The fourth card is something to learn. The fifth card is something to give. The sixth card is your hopes and dreams. And the seventh is your secret special skill! Good luck with these spreads! Click here for Part I of our Intro to Tarot series.